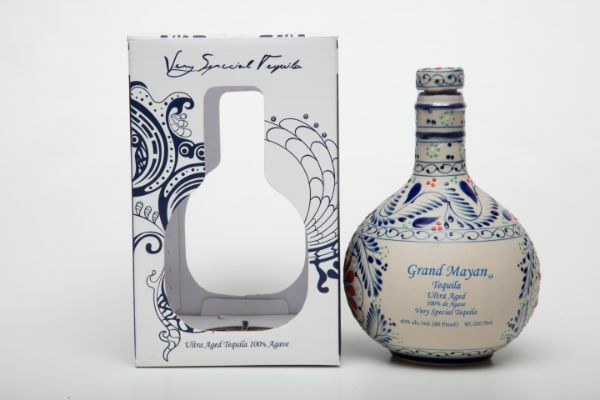 Grand Mayan Tequila is made with the best agave and sold in a beautiful hand-made ceramic decanter created by Mexican artists, to add a symbol of deep tradition and history. Grand Mayan Anejo, is aged for more than 3 years and is so rich, that it becomes difficult to distinguish from other quality aged spirits. Aroma: Sweet aroma of nuts.